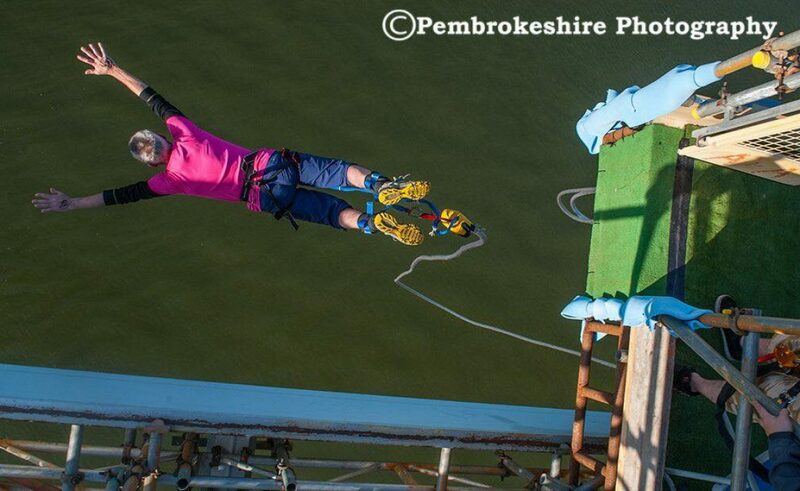 One of only two bungee jumps above water in the UK is over the beautiful Cleddau estuary in Pembrokeshire. Bungee off the Bridge is organised by volunteers from Pembroke Dock Regeneration Team, alongside the UK Bungee Club, and with financial support from Pembrokeshire County Council. You can bungee just for fun, or you can use your bungee to raise money for the charity, team, club or school of your choice. Pembroke Dock Regeneration Team is a group of businesses, organisations and individuals working to raise the profile of the town, revitalise the town centre and create jobs. Get involved if you can – this is a fantastic opportunity to #playsmartlivewell and to contribute to good work. Bungee Of The Bridge 2015 from SkyCam Wales on Vimeo.